The Mount Vernon Cultural District is one of the most recognizable landmarks in Baltimore. A National Register Historic District, Mount Vernon is famous for its mid-19th century architecture, scenic parks, and historic statues. 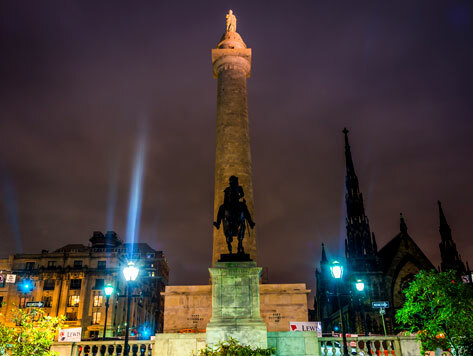 The neighborhood is also home of the Washington Monument, Walters Art Museum, and some of Baltimore’s best restaurants and event venues.